@Hadrak I'm curious as to what areas you're seeing as overlooked that seem out of place for being overlooked. I also really like the effects this thread seems to have had -- path find for albedos and areas off mainland is pretty great. As it stands right now, the XP formula is ancient and doesn't handle endgame areas well at all. A few years ago, we went and added a flat XP bonus to some areas regardless of difficulty, such as Xaanhal and Tiyen, but these bonuses aren't really indicative of the difficulty of the areas and was just an arbitrarily assigned value. Other areas don't have these flat bonuses added to them, making them less appealing than those that do. We'll be looking at rewriting the XP formula from scratch to properly accommodate for higher end areas, and do away with those flat xp bonuses which are just a terrible bandaid. The PATH FIND upgrades were planned quite a while ago, but it took a complete rewrite of the code from @Razmael! We're glad we finally got it out, though. I know it's been a disaster. 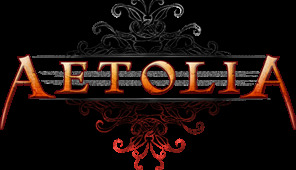 PvE (aka player versus environment) content can be a core part of Aetolia for many players as they level their characters and explore. Lately, however, we've noticed that there are some areas that are overlooked or untouched by many players. 1) Where do you enjoy bashing? Xaanhal, Tiyen, Fengard, the great rock, Khasukin mines, mamashi tunnels, western tundra, alaqsii inlett, and Bloodwood. The lower level areas have great gold gains, and decent rp for the quests. While the endgame areas have half decent xp gains and gold drops. 2) Why do you bash? For gold to buy credits with, which I turn into artifacts... I also bash during the great hunt to win credits and occasionally I bash to help people get endgame. 3) Why do you not bash [insert areas here]? [the Volcano] the fact you can only do about half damage to the creatures per hit there, and groups of aggressive creatures that are just about the hardest hitting things in the game. [the Feral Caves] Most of these little green bastards only hit for about 200-300 per hit, but when you have upwards of 30 of them attacking you all at the same time, it adds up... the stun from the bigger ones makes it even harder to hit and run... the xp is horrendous and the gold drop rate also is detestable. [Tcanna Island] The no gold drops + ferry time and payment for ferry really deter me from going here for any reason other than a great hunt, or I'm bashing someone to endgame. 4) What bashing areas seem to not be worth the effort? @Hadrak ah, that definitely makes sense. I always wondered why areas like Nal'jin had compendium pages and then had such lower xp rates than other areas while still being considered 99+. I understand that not all areas are the same and Nal'jin is one of the lower endgame areas, just always kind of wondered if I was missing a big part of that area quest wise or something. I suppose the fish corpses for bladders is a fairly large draw to undead type people though. They all drop those random weird items.... maybe there's some quest I'm missing with it. I'd love to see more diverse bashing areas for endgame though with equivalent draw to them, as it is Tiyen/Xaanthal are by far the best for both gold and xp, with Forgotten Dome pretty close there with it. After those areas there's a decent gap in the value proposition for my time to bash them. Tcanna is good xp on par with Tiyen but the lack of gold makes it less worth while, not a lot of people bash for levels after endgame. The main draw seems to be gold, personally I see the exp as something of a bonus while I'm gaining gold. What I'd really love to see is some kind of endgame area that promoted group bashing. I'm not sure exactly how, but some kind of bonus perhaps if you've got more than one person hitting the mobs? It's hard to balance because if it's so hard that I can't solo it, I don't want to risk bringing other people who don't have artifacts and such to the area with me. I guess crit-immune is a decent way to make it so I'd want someone else with me, but not totally sure. A number of reports in the recent liaison round were rejected because of unnamed changes to PVE coming soon. ...I've heard no announcements of these changes, nor know when they're going to happen. Any authority to share what's going to happen or when? This would be something better asked in Short Questions, rather than here. And make sure to reference what class the PVE liaisons were about (if any) so there is some context. Thanks! Lich Garden... There's something quite fun about blasting dissected baby eyes out of their sockets... Quite fun to run through as well. Need that haven..... And gold, everyone needs gold. D'uh! The other only reason is to help new players get some experience or get them accustomed to certain areas and its threats. 3) Why do you not bash in snake pit? Sure, it's great having 100 snakes in your inventory.. It's less fun trying to figure out which have sacs and which don't... I try, and try... End up copy pasting a OFFER CORPSES and getting rid of them as soon as the frustration starts..